WHAT: The National Archives will host a live, virtual Genealogy Fair via webcast on YouTube. Participate in our biggest genealogy event of the year! Sessions offer advice on family history research for all skill levels. Topics include Federal government documents on birth, childhood, and death; recently recovered military personnel files; Japanese Americans during World War II; 19th century tax assessments; and a “how to” on preserving family heirlooms. For the schedule, videos, handouts, and participation instructions, visit the Virtual Genealogy Fair online. Reminder: If you are attending the 4-day annual NGS Conference in Raleigh, online conference registration will close on 27 April 2017. Registration by mail must be postmarked by 27 April. Registration in person opens at noon on Tuesday, 9 May at the Raleigh Convention Center. 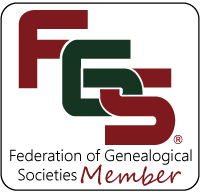 The National Genealogical Society will live stream ten important genealogy lectures during the May 2017 Family History Conference in Raleigh, North Carolina. Five lectures focus on DNA’s role in genealogical research. The other five from the BCG Skillbuilding track will center on building a family researcher’s skills and expertise. These lectures will be among more than 175 offered at the conference, 10−13 May 2017. Details about the live streaming program, plus additional conference recordings, can be found on the PlaybackNGS Website. NGS members and others across the United States and overseas, who are unable to attend the conference in person, are invited to sign up for these live streaming broadcasts. Registration for live streaming will close at midnight, 10 May 2017, to watch the sessions in real time and as they happen. The Livestream special-value conference pricing will continue to be available for purchase until midnight, 14 May 2017, and will provide video streamed on-demand. After 14 May, the ten video sessions are available to order with the Video Pass package on the Conference Recordings page. All registrants of packages will receive an electronic version of the NGS 2017 Family History Conference Syllabus. Early registration for the NGS Family Hx Conf in Raleigh ends on 3/27. If you are a NGS member early bird registration is $205 and regular registration (after 3/27) is $240. Non-member registration is $240 and $275. Click here for detail and help on getting set up. Live streaming will appear on the main website at http://www.rootstech.org. 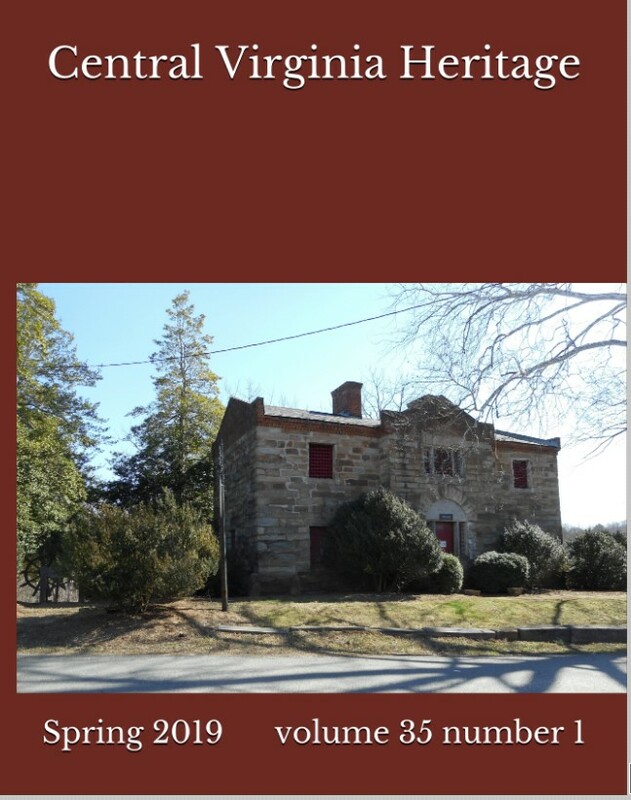 The Fredericksburg Regional Genealogical Society (FRGS) annual Genealogy Conference will be held 24 September 2016, from 9:00 a.m. to 1:00 p.m. at the Central Rappahannock Regional Library Main Branch, 1201 Caroline St., Fredericksburg, VA 22401. 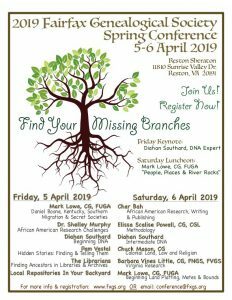 The half-day conference, Gathering Leaves for Your Family Tree, will include six presentations, one-on-one sessions, and sales of books and merchandise.